The Office of Children’s Issues and the U.S. Embassy in La Paz have received numerous inquiries from prospective adoptive parents interested in adopting children from Bolivia. Bolivia is a Party to the Hague Adoption Convention. Therefore, in order to adopt a Bolivian child, prospective adoptive parents are required to work with a Hague- accredited U.S. adoption service provider (ASP) who is also authorized by the Ministry of Justice, which is the Bolivian Central Authority, to facilitate adoptions of Bolivian children. However, Bolivia has not authorized any U.S. Hague-accredited ASPs to process adoptions of Bolivian children. As a result, the intercountry adoption of children from Bolivia to the United States is not possible at this time. Although the U.S. Embassy will continue to engage with the Bolivian government on this issue, we cannot estimate when the Bolivian government will authorize a U.S. ASP to facilitate Bolivian adoptions. The foregoing does not affect the ability of an adoptive parent who is habitually resident outside of the United States to file a Form I-130, Petition for Alien Relative, for an adopted child from Bolivia with U.S. Citizenship and Immigration Services (USCIS). To be considered habitually resident outside of the United States, the adoptive parent must complete two years of legal custody and shared residency in Bolivia with the child. USCIS determines whether a child meets the definition of an “adopted child”, and qualifies for immigration on a case-by-case basis. For more information about Form I-130, please visit the USCIS Form I-130 processing page. If you have further questions, please contact us by phone at 1-888-407-4747 or e-mail us at adoptionUSCA@state.gov. The Intercountry Adoption Universal Accreditation Act of 2012 (UAA) goes into effect on July 14, 2014. As of that date, all agencies or persons that provide adoption services in support of the two forms listed below must be accredited or approved, or be a supervised or exempted provider, in compliance with the Intercountry Adoption Act and accreditation regulations. The UAA requires that adoption service providers (ASPs) handling non-Hague Convention adoption cases that fall under the Immigration and Nationality Act (INA) section 101(b)(1)(F) follow the same accreditation or approval process required of ASPs that handle Hague Convention cases under INA section 101(b)(1)(G). The UAA assures families pursuing an intercountry adoption that regardless of the country from which they intend to adopt, the ASP they choose will need to comply with the same ethical standards of practice and conduct. The UAA allows for transition cases (grandfathering) in certain situations. ASPs that provide adoption services in these grandfathered cases do not need to be accredited. However, ASPs must be accredited for any adoption services they provide on or after July 14, 2014, even if prospective adoptive parents filed Forms I-600A or I-600 before that date, and accreditation was not required for ASPs at the time of filing. The following tables explain when you will be required to use an accredited ASP. USCIS makes a decision on Form I-600A or Form I-600 before July 14, 2014. No. Accreditation is not required for adoption services provided before July 14, 2014. You file Form I-600A or Form I-600 before July 13, 2013, but USCIS makes a decision on or after July 14, 2014. No. The case is grandfathered, and accreditation is not required. You have initiated the adoption process in a foreign country with the filing of an appropriate foreign application as determined by the Secretary of State before July 13, 2013. You file Form I-600A or Form I-600 on or after July 13, 2013, and USCIS makes a decision on or after July 14, 2014. Accreditation is not required for adoption services provided before July 14, 2014. But accreditation is required for adoption services provided on or after July 14, 2014. You file Form I-600A or Form I-600 on or after July 14, 2014. Be grandfathered under the UAA transition rule. An unaccredited or unapproved ASP can provide any adoption services, even after the UAA goes into effect on July 14, 2014. Not be grandfathered under the UAA transition rule. In this situation, USCIS may rely on a home study prepared by an unaccredited provider if it was completed before the new accreditation requirements go into effect on July 14, 2014. After this date, if you need an amended home study or other adoption services, you will need to work with an accredited or approved ASP, an exempted provider, or an ASP that provides services under a supervisory agreement with an accredited ASP. Parents for Ethical Adoption Reform, PEAR, welcomes a new President and four new members to its volunteer Board of Directors. Barbara McArtney, a founding member of PEAR and current Interim President, will become our new President. Joining PEAR as general directors are: Thaddeus Batt, CTO and Managing Partner, SpireMedia, Inc.; Elizabeth Dahl, attorney; Holly Mulford, pediatric nurse practitioner and blogger on alternative care and intercountry adoption from the DRC; Brian Stuy, owner and founder of Research-China. 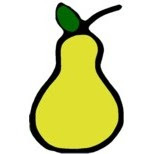 We are very pleased at the commitment these individuals are investing in PEAR. We all share a common goal of advancing PEAR’s mission into the future. U.S. Embassy Belgrade has received reports that one or more U.S. adoption agencies may be giving prospective adoptive parents misleading information about the process of adoption in Serbia. Serbia places a priority on domestic adoption. The only children who are generally available for intercountry adoption are children with special needs. There are no adoption agencies authorized to offer adoption services in Serbia, and families should not seek to work with an intermediary. You are strongly encouraged to read the Serbia adoption country information, which outlines the only way to adopt children from Serbia. There is no legal alternative to the Serbian adoption process outlined in this adoption country information page on Serbia. If you have received contradictory or misleading information from a U.S. accredited or approved adoption service provider, you can register a complaint with the Hague Complaint Registry (HCR), which is administered by the Council on Accreditation (COA). To report such activity by a non-accredited or approved agency, you may contact the licensing authority of the state where the agency is located. You can also contact the Office of Children’s Issues via email to AdoptionUSCA@state.gov and have your complaint recorded.